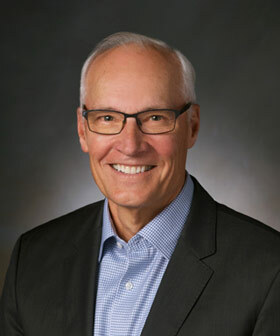 UCSC Distinguished Professor of Economics Carl Walsh has been appointed to serve as an honorary adviser to the Bank of Japan’s Institute for Monetary and Economic Studies (IMES). Walsh will provide advice to the director-general of the IMES on the organization's research activities and efforts to develop closer ties between the institute and academic economics in Japan and abroad. As part of that initiative, he will help select candidates for the institute’s visiting scholar program. Walsh will also aid the IMES in organizing their annual research conference and will deliver the keynote at the 2019 conference, the theme of which is "Central Bank Design under a Continued Low Inflation and Interest Rate Environment." Walsh is only the twelfth person to be appointed as an IMES honorary adviser since Milton Friedman was first appointed in 1982. The eleven previous advisers, drawn from the faculty of Stanford, Yale, Carnegie-Mellon, MIT, Harvard, Berkeley, and NYU, include two Nobel Prize winners, a former vice-chair of the Federal Reserve, and two former chief economists of the International Monetary Fund. Walsh’s two-year renewable term began January 1, 2019.